Mike Davidson of the British Arachnological Society, will deliver this seminar entitled "Spiders as indicators of environmental change". It has been organised by Aberdeen Entomological Club and will be held at the James Hutton Institute in Aberdeen. 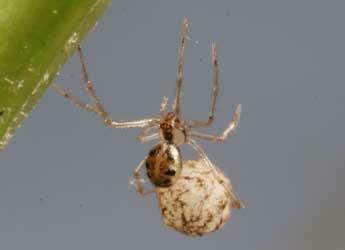 Spiders exploit all habitats from strandline to mountain summit and are important predators of other invertebrates. This talk will consider their potential as biological indicators, the environmental pressures which are affecting them, some historical datasets and long term monitoring projects. We will conclude with some thoughts on the scope for future monitoring and public engagement. The talk starts at 4pm and light refreshments are available from 3.30pm.